Europa-Park, the best leisure park in Europe! 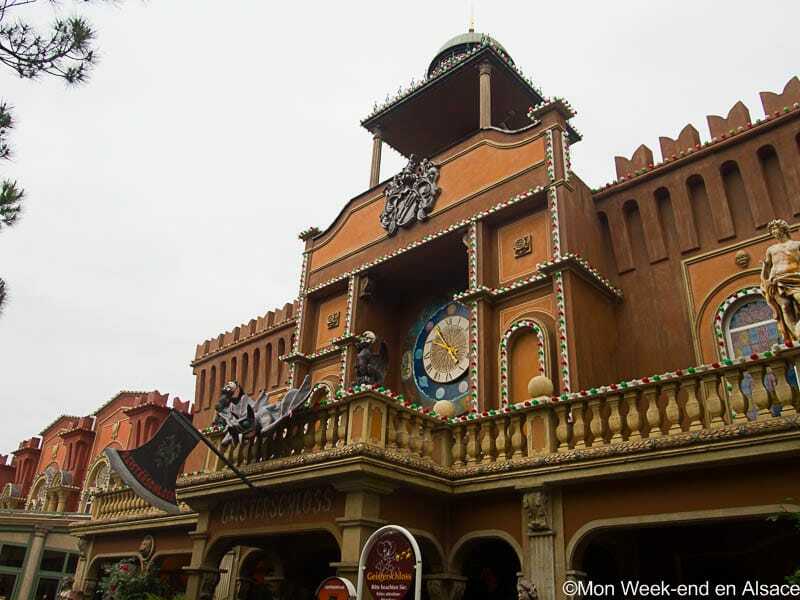 Europa-Park is THE amusement park not to miss when in Alsace. It is located in Germany, very close to Alsace and has been chosen as the best leisure park in Europe by Tripadvisor. 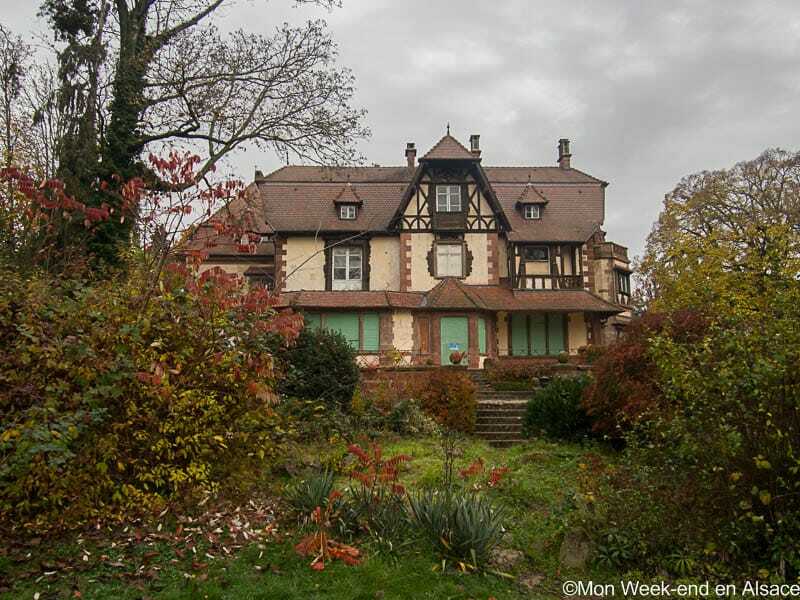 It seems worth crossing the border for the day during your holidays in Alsace, right? After hearing about it for so long, I finally went to try out this very famous amusement park. I must admit that its reputation is not overrated and Europa-Park is a great place! This amusement park has a European theme. It is built as a reconstruction of Europe, with different zones per country. 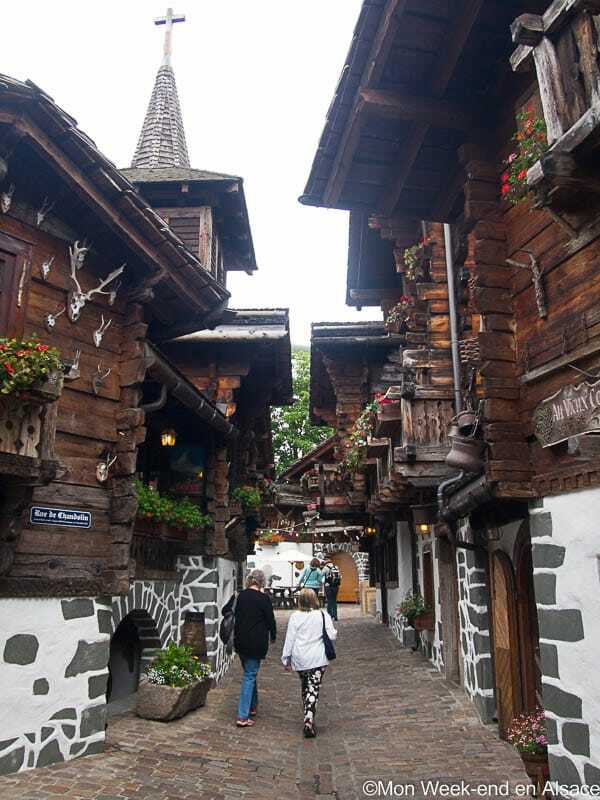 You will walk between small Swiss chalets, white and blue Greek houses or on an Italian square. It’s fun and very well done! 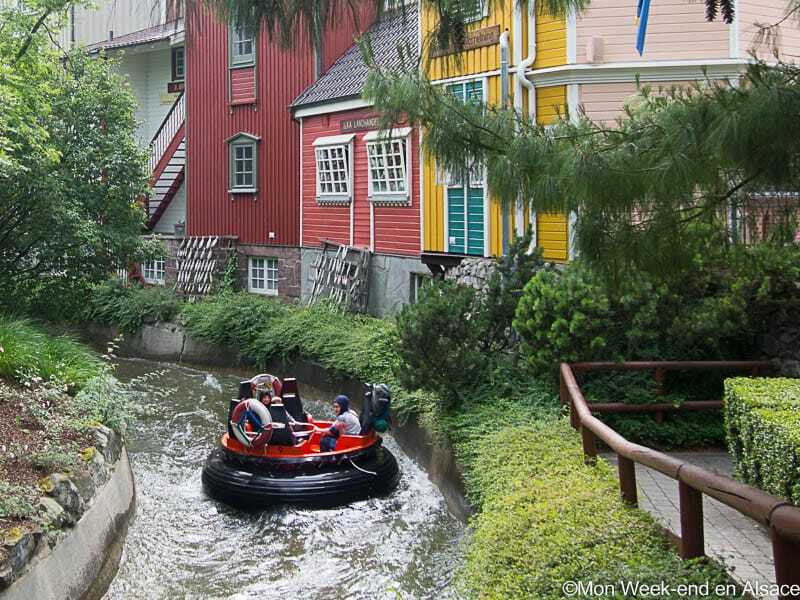 Europa-Park is a leisure park for the whole family. 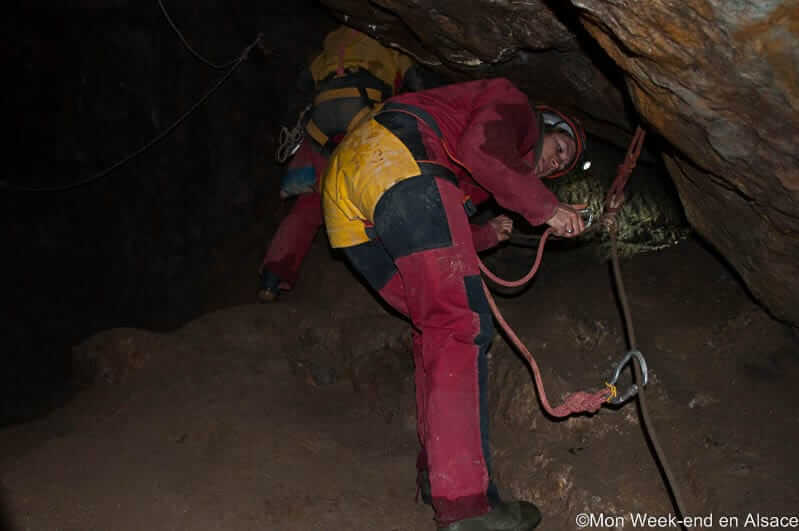 It has attractions for young and old alike, as well as for thrill seekers. 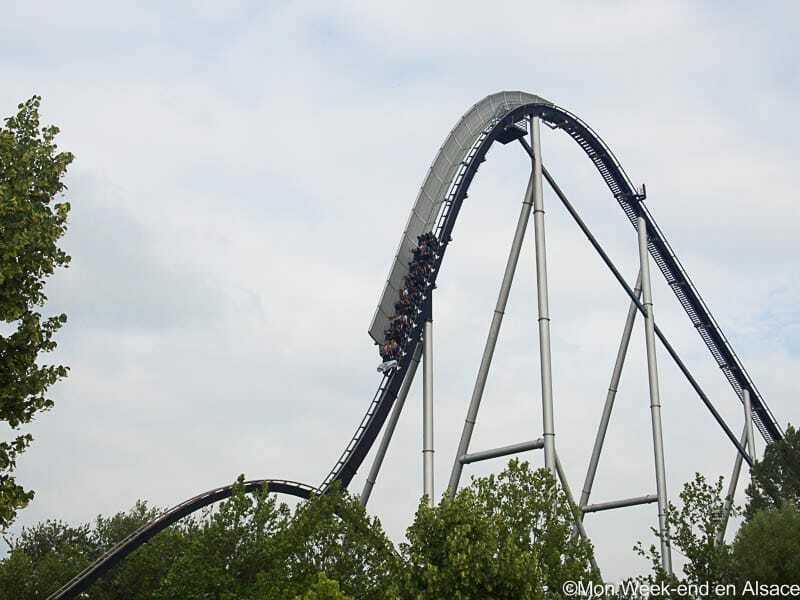 I tried for example the Silver Star, a 73m-high roller-coaster with a top speed of 130km/h. I can tell you that it really rocks! There are also several aquatic attractions, which are very nice during really hot weather (summer can be very hot in Alsace and the surrounding area). 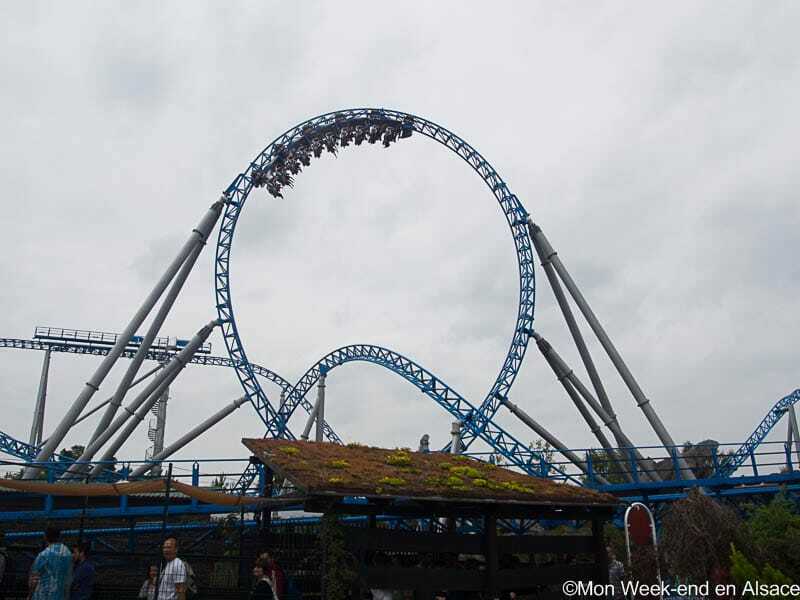 Among Europa-Park attractions, you can try 13 roller-coasters, including 2 aquatic ones, such as the Alpenexpress, the Swiss Bob Run, the Atlantica SuperSplash or the Eurosat. There are also dark rides, such as “Atlantis Adventure” or “Whale Adventures – Northern Lights”, two interactive journeys. Of course, you can also find carousels, including the pretty Vienna Wave Swing. There are also: the London Bus, a pendulum-ride representing a reproduction of a London routemaster bus; two drop towers; car circuits; river rafting rides and log flumes attractions, such as the Tiroler Log Flume, etc. There are several means of transport to discover inside of the park, as for example the Monorail, and there are also various playgrounds, amusement arcades, exhibitions and shows, theater, cinemas… It’s impossible to see everything in one day! How to get to Europa-park? By plane: the park is accessible from the Black Forest Airport in Lahr. The airports of Karlsruhe/Baden-Baden, Strasbourg and Basel aren’t too far either. It is possible to book shuttles to get to the park from these airports. 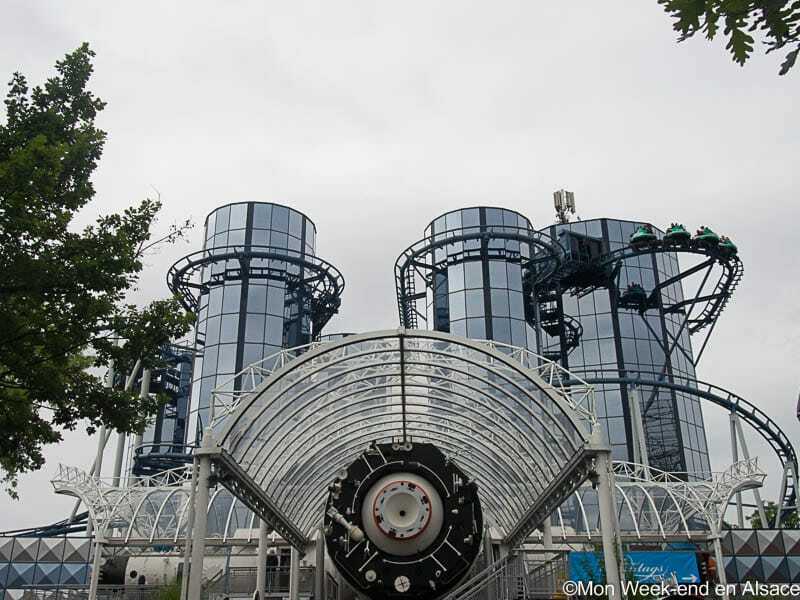 By car: the park is located on the motorway A5 between Basel and Karlsruhe. Take the Exit 57b Rust and you’ll have a direct access to the parking. You will have to pay for parking. By bus: there are several shuttles to the park from Strasbourg, Sélestat and other cities. More information here. By train: there is no railway station in Europa-park or in Rust. You will have to combine several means of transport, if you choose to come by train. Ringsheim railway station is the closest station, located 4km away from the park. Otherwise, you can also consider the stations of Colmar, Strasbourg and Mulhouse. From there, you can get a shuttle, rent a car or take a cab. For more details about the different access to the park, here is the official website. That this huge leisure park is adapted to the whole family: numerous attractions and activities for all ages. Very good attractions (especially the Silver Star!). Don’t panic language-wise, most of the staff speaks English! You will have to pay parking on top of the ticket price. The free WiFi only gives you access to the website of Europa-Park, to their app and Facebook. Very few lockers for bags in the attractions (except for a few carousels) and it’s better not to have breakables (it is not really practical for cameras for the aquatic attractions). 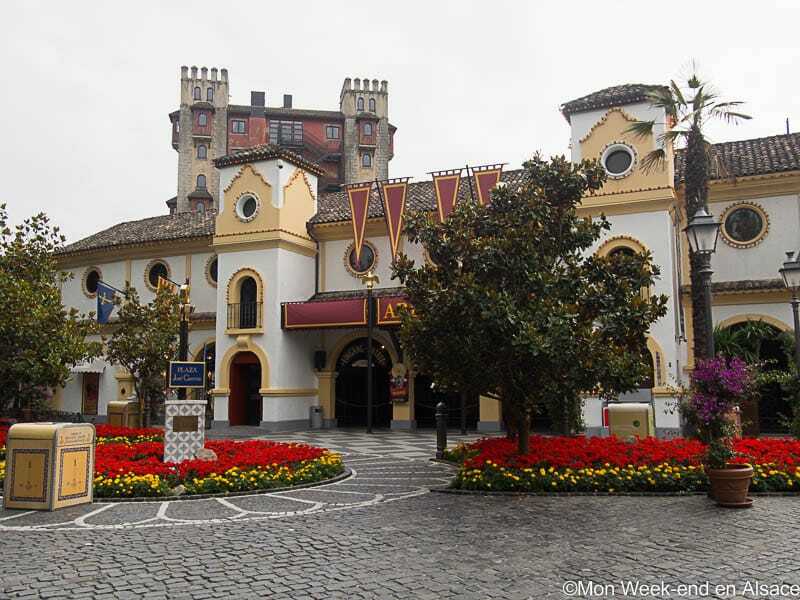 You will find here all Europa Park prices. 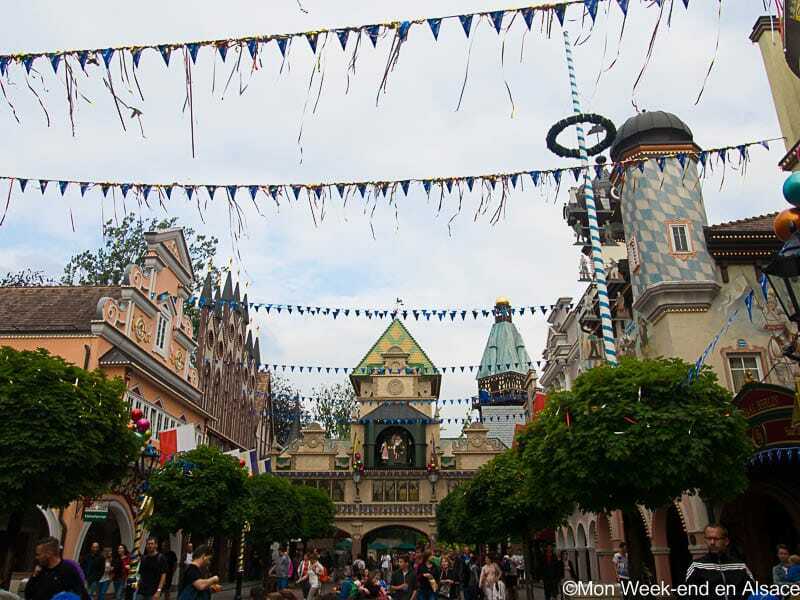 You will find here the opening days and times of Europa-Park. 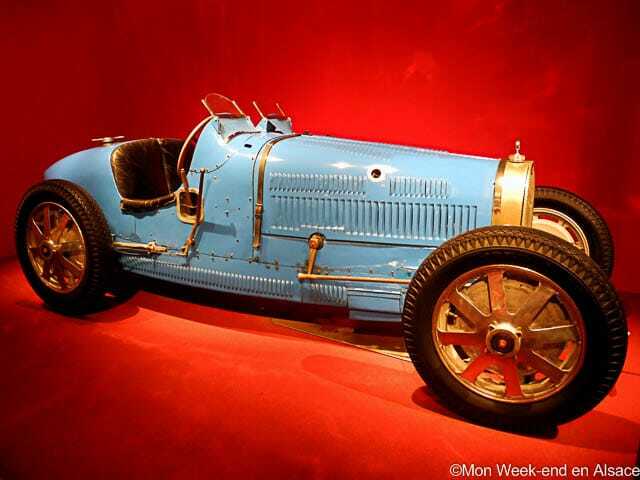 It is possible to come to Europa-Park by public transport from Alsace. 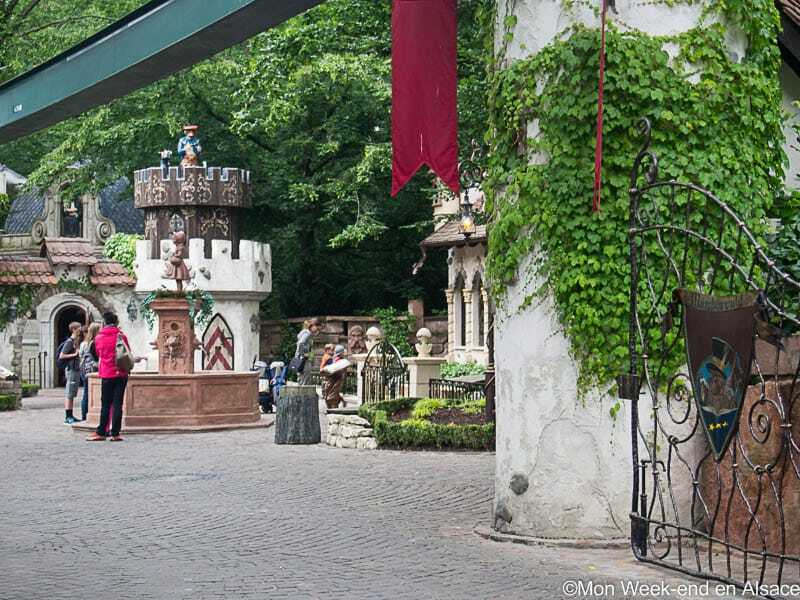 Please have a look at the access information on the Europa-Park website (it is really well done). Europa-Park offers many international food restaurants. You will find a lot of German food, as well as Asian, Spanish, Greek, French or Italian food. It’s not “haute cuisine”, but prices are quite reasonable for such a place. You can also easily find spaces to have a picnic. If you have any other questions, I found a very well made FAQ about Europa-Park on the website Ooparc (in French).